PSR-BC is an association of individuals and organizations that work to achieve full community participation of persons with mental health issues. We promote the principles and practices of psychosocial rehabilitation through practice standards, education, quality outcome measures, advocacy, and public policy. 1987 Assertive Community Treatment program at Riverview Hospital. ACT teams were set up in Victoria using an interdisciplinary team approach. May 1992 approval was obtained at the IAPSRS Conference in Oakland for BC to become the 22nd chapter of IAPSRS. 1997 Vancouver hosted an IAPSRS conference which was only the 2nd time that such a Conference was held outside the USA . Over 1500 people attended. 2004 PSR BC put on a national conference which was attended by 300 people from across Canada. Dr. John Higenbottam is a neuropsychologist who has held senior clinical leadership positions through most of his career. His appointments have included Vice President, Vancouver Hospital and Health Sciences Centre responsible for Vancouver’s acute care and community mental health, rehabilitation and continuing care services. Vice President, BC Rehab and Vice President, Riverview Hospital. John currently holds an appointment as Clinical Professor, in the Department of Psychiatry, UBC. He is also a Faculty Emeritus at Douglas College where he teaches in the Graduate Diploma Program in PSR. John is also Editor-In-Chief of the Canadian Journal of Community Mental Health. John is a former Chair and current Director of PSR/RPS Canada. He also served two terms as Co-Chair, Canadian Alliance for Mental Illness and Mental Health (CAMIMH), Canada’s major alliance of mental health organizations. John’s major interests are in PSR education as well as developing, implementing and evaluating effective, recovery oriented mental health services. Dr. Regina Casey coordinates the psychosocial rehabilitation graduate program at Douglas College and manages the BC Advanced Practice website for mental health practice knowledge decimation (psyrehab.ca). She is a Clinical Assoc. prof at UBC in the school of Occupational Science and Occupational Therapy and has worked in MH practice for over 2 decades. Her current research Interests include- understanding how to implement Recovery-oriented PSR practice in Canada and how to integrate Social Business and recovery-oriented self-directed care approaches in low and middle-income settings. My name is Amanda Berg. I was diagnosed with bipolar and complex post traumatic stress about twenty years ago. Using psychosocial rehabilitation through peer support and other wellness tools has enabled me to work and lead a healthier lifestyle. I currently work at Open Door group and facilitate a Photo voice study with Douglas College. I also am the Peer facilitated workshop coordinator at Vancouver Coastal Health. I plan and organize mental health recovery based workshops for hospitals, mental health teams and in the community. I think PSR is awesome and I am looking forward to being on the board. Heather is an Occupational Therapist with a Master's Degree in Leadership and Training. 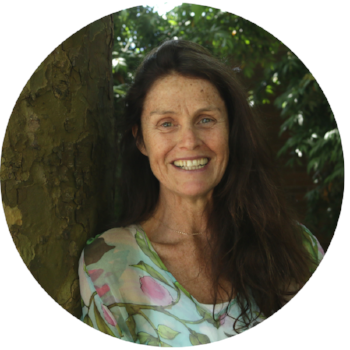 She has a passion for rehabilitation and recovery and has worked in mental health for 30 years. Heather has supported initiatives and participated on projects, committees and boards for CAOT, BSCOT, COTBC and UBC School of Occupational Science and Occupational Therapy. Heather has been a member of PSR Canada since establishment and is currently employed by Interior Health Authority of British Columbia in a leadership role. Throughout her career Heather has embraced opportunities to promote empowerment and recovery with individuals, teams, and organizations. Janet Burden is the Executive Director of Stepping Stone Community Services Society and West Fraser Housing in Langley, B.C. She has a Bachelor of Arts degree in Adult Education and has worked in the mental health field for over 24 years. She is committed to the practice of psychosocial rehabilitation with a focus on recovery. She has a strong philosophy of working collaboratively in the community to promote community integration and improve services for people living with mental health issues. My first exposure to psychosocial rehabilitation was at an open door PSR workshop at Douglas College facilitated by Dr. Regina Casey. Coming from a background that associated mental health with everything but recovery, I was fascinated to learn more about psychosocial rehabilitation. This made me register in the program and today I am a graduate of the Graduate Diploma in Psychosocial Rehabilitation at Douglas College. With a keen interest in recovery and mental wellness, I am passionate about community integration, self-identity and reaching out to people with lived mental health and trauma experiences with the message of hope and resilience. Matthew has worked in the mental health services field since 2007. He began work in a clubhouse setting with Langley’s Stepping Stone Community Services Society. Following, Matthew worked in direct service in clubhouse, supported housing, and homeless outreach, before moving into an Assistant Program Manager position with Options Community Services’ Clubhouse Program. He also spent a year following graduation managing a research lab at UBC Psychiatry, has lectured for students in a Mental Health and Addictions Worker program, and was a guest editor for the August 2013 issue of Visions: BC’s Mental Health and Addictions journal. Matthew is a former Coordinator of BC’s first Psychosocial Rehabilitation Advanced Practice, operating through Douglas College. He was the recipient of the 2014 PSR/RPS Canada National Ambassador Award. Matthew holds a Bachelor of Arts degree in psychology from UBC, a Post-Baccalaureate Diploma in Psychosocial Rehabilitation from Douglas College, and a Master of Social Work degree from UBC. He is currently a full-time student at the University of British Columbia where he attends medical school. Matthew has served on the PSR board since March 2012. Cynnimon is a Certified Therapeutic Recreation Specialist. She completed a Masters of Public Health with a focus on Social Inequities and Health at Simon Fraser University. Her research interests include:, mental health and addiction recovery, poverty, Indigenous wellness and the impact of social-ecological environments on well-being. She currently is working as a community research associate on various projects including HIV+aging women and people with substance use experience focusing on how culture can be integrated into wellness programming using a Two-eyed Seeing approach. She herself includes playing outside as a major part of her own wellness toolbox. Gill is an Occupational Therapist at Community Psychiatric Services, a community mental health team, in North Vancouver where she has been working for four years. One of her passions at work is involving people in recovery from mental illness in service provision. Currently, she is involved in the Sea to Sky Peer Support Program. She is also interested in social enterprise, and is currently part of a team setting up a coffee shop on the North Shore using this model.